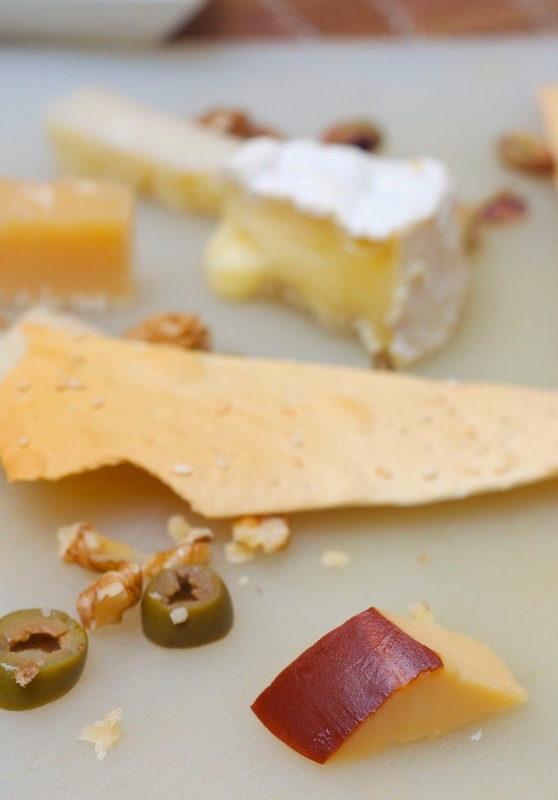 A cheese course? 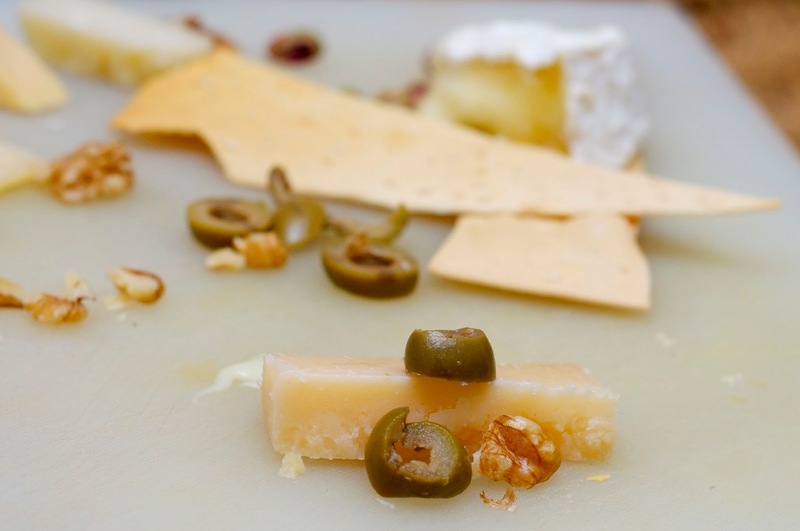 Everybody loves cheese, I guess, but a dish with only cheese? I was laughing when I saw the option in a set meal in Switzerland, but the second time I saw, I was too intrigued to miss it. And then I was hooked for life. Four cheeses, served with thin wafers, walnuts and olives with a description of the cheese, the flavour, the milk used etc, was the second course of the meal. It was preceded by a starter course and followed by a main course, but for a first timer, the cheese course stuck more than anything else. Really, this is not an acquired taste, but a find-out taste. You only need to know that this exists or there is really a different way to eat cheese than spreading it on bread and chances are you will be hooked. 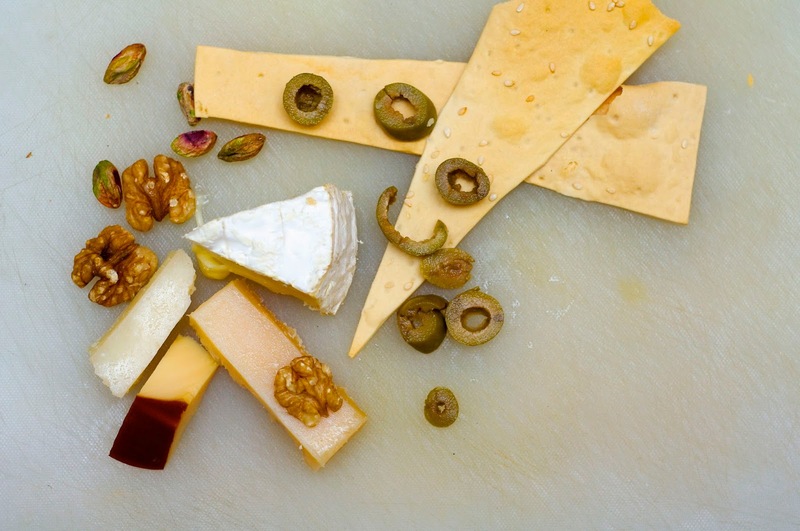 So last week, when there was no dinner at home and I realised that I had four different cheeses in my fridge, I decided to recreate the cheese course. While the cheese course in Switzerland was lots of swiss cheese, none of the cheese I had was Swiss, in a cheese course, it doesn't matter where the cheese came from. So, my platter had Camembert, Smoked Gouda, Parmigiano Reggiano and Percornino Romano cheese. 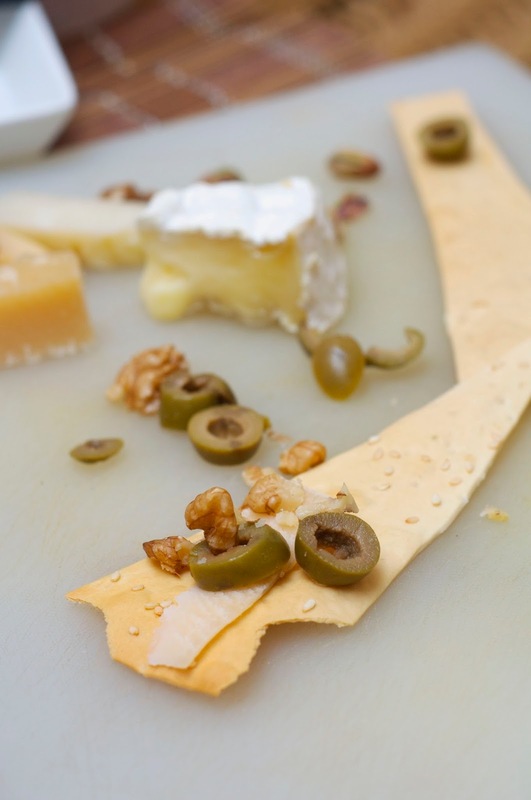 While there are many ways to enjoy cheese, I like to load it on a thin cracker and top it off with olives and walnuts! The guy with the white border; he is the smoked Gouda. Though Gouda is the cheese that was originally made from Gouda in Netherlands, the name is not protected and cheese made the same way from any where can use that name. This though, was smoked Gouda and it has the distinct barbecue flavour that I love! And the white one standing tall is was Percorino Romano, a cheese made with sheep milk that is made salty and hard was the next on the attack. It has a very distinct salty flavour that may not be on everybody's wish list, but most people I know have not been put off and have taken an instant liking to it! 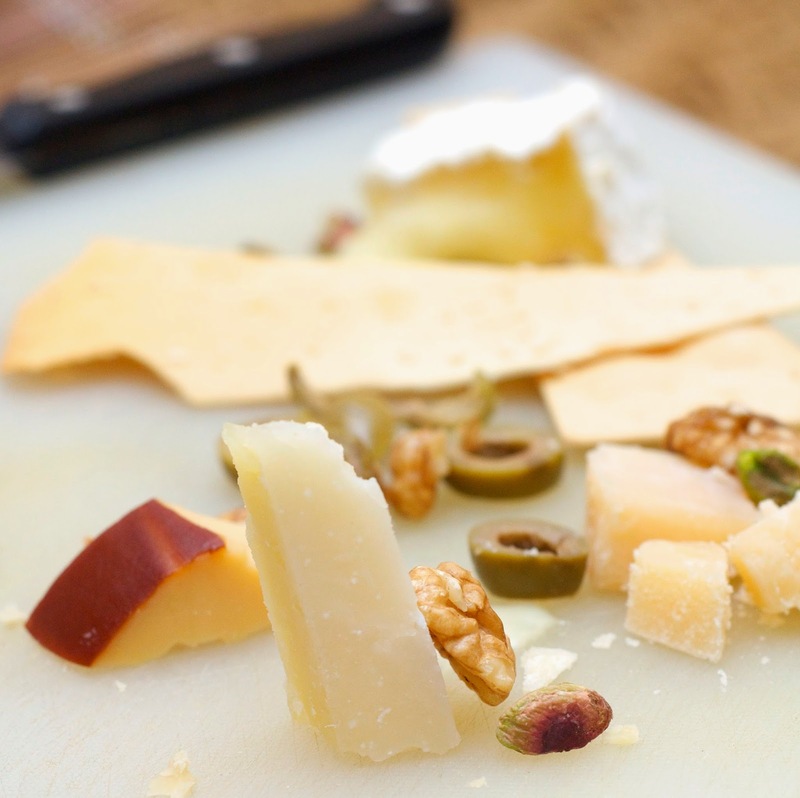 Percorino Romano was recently introduced to me by a friend and I took an instant liking to it! And then came the Parmigiano Reggiano, also called as Parmesan, which is almost the backbone of Italian dishes, a hard cheese made from raw cow's milk (its not pasteurised, so it is important that you get it from a good brand). 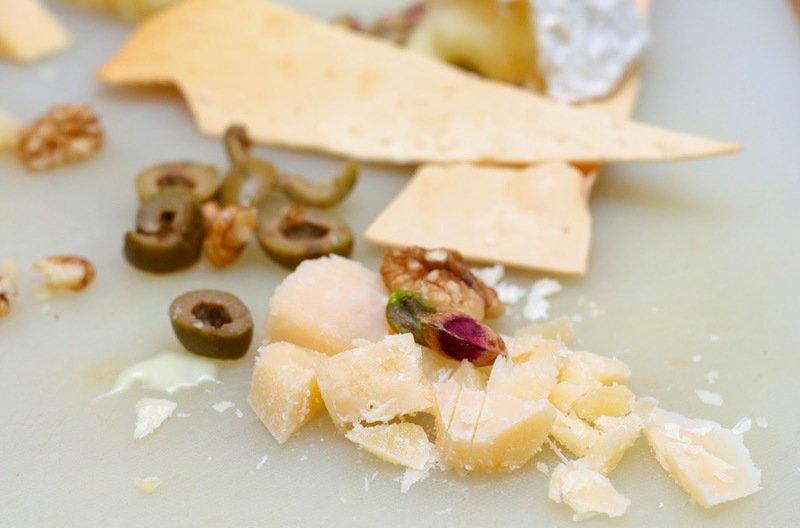 While traditionally the cheese is grated over salads and pasta and pizza, it has a flavour good enough to eat as is. And finally the Camembert, cheese, a french cheese, that is super creamy inside with a thick white rind outside! 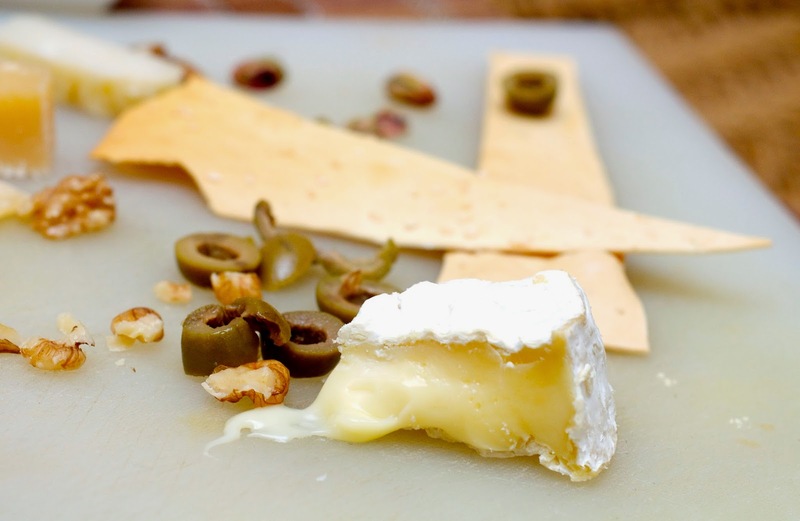 The best way to have Camembert for me is to stick some garlic and oregano into slit holes and bake in the oven for a few minutes before enjoying it as I noted in one blog post! This cheese has a bitter after taste that most people don't like, but if you like the cheese and don't like the aftertaste, a great replacement for Camembert will be the Brie cheese, but I didn't have it! When a friend's cousin came down from UK, I got the Camembert and Parmesan while I picked up the Percorino Romano and Smoked Gouda from Food Hall in Bangalore!!! !